For a second time, a Philadelphia business group has asked a judge to block the city’s ban on salary history questions, arguing that the law infringes on business’ free speech rights. The challenge may serve as a test case for similar bans being adopted around the country. The Chamber—which has a Comcast executive on its board—made good on that promise and filed a lawsuit alleging that the measure “will chill the protected speech of employers and immeasurably complicate their task of making informed hiring decisions.” The organization also requested an injunction to prevent the city from enforcing the law while the parties litigate. A judge issued an order staying the May 23 effective date until he can rule on the injunction request. The city, however, argued that the Chamber didn’t have standing to sue. The organization failed to point to a single business that would be harmed by the law, it said. The judge agreed, dismissing the Chamber’s complaint. He gave the group 2 weeks to file an amended complaint, however, and it did so June 13, identifying several businesses, including Comcast, that would be adversely affected. And Drexel University, unable to narrow its applicant pool based on salary, will spend much more time and resources on hiring because applicants will decline offers that don’t meet their current salary, the amended complaint says. The Chamber said in a statement that it believes this concrete information fully addresses the judge’s concerns and makes clear that the group has standing to challenge the ordinance. For now, the stay remains in effect. The real test for this law will be the judge’s decision on the injunction request, according to Eric B. Meyer, a partner with Dilworth Paxson LLP in Philadelphia. Obtaining a preliminary injunction requires, among other things, showing a likelihood of success on the merits, Meyer previously told BLR. “Therefore, future appeals aside, the … preliminary-injunction ruling will largely forge the path for this law,” he said. 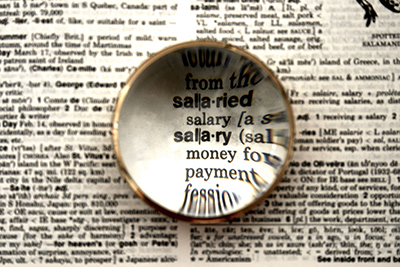 For the latest list of salary history bans throughout the country, see Oregon Joins Growing List of States Banning Salary History Questions. Kate McGovern Tornone is an editor at BLR. She has almost 10 years’ experience covering a variety of employment law topics and currently writes for HR Daily Advisor and HR.BLR.com. Before coming to BLR, she served as editor of Thompson Information Services’ ADA and FLSA publications, co-authored the Guide to the ADA Amendments Act, and published several special reports. She graduated from The Catholic University of America in Washington, D.C., with a B.A. in media studies.